Pak Suzuki has officially announced that the company has discontinued producing the outdated hatchback – Suzuki Mehran. 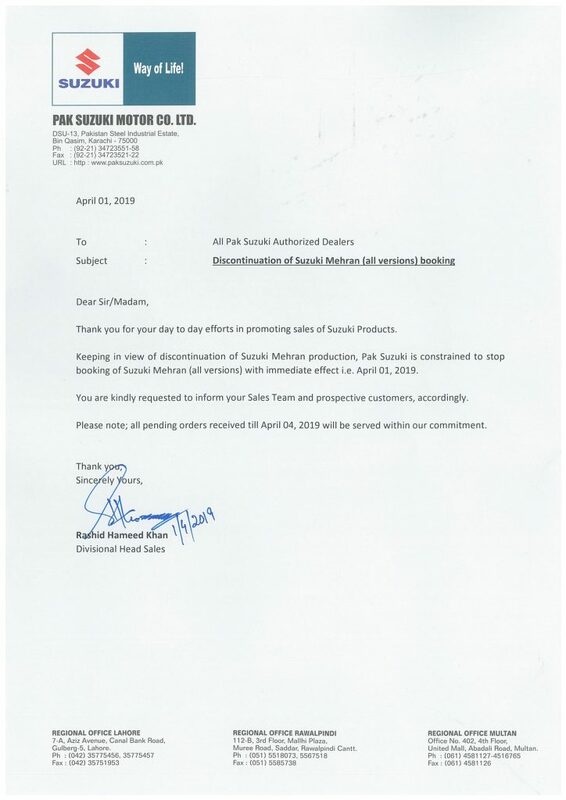 In an official notice to All Pak Suzuki Authorized Deals, the company said keeping in view the discontinuation of the vehicle, Pak Suzuki halts the booking of Mehran with an immediate effect i.e April 01, 2019. Last year Pak Suzuki issued a notification that it will discontinue Suzuki Mehran and introduce New Suzuki Alto 660cc in Pakistan. 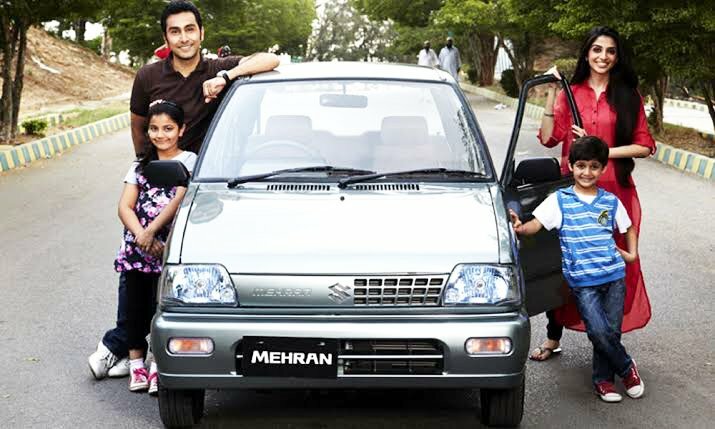 Since its debut in 1989 in the local market, Suzuki Mehran has been the most popular and affordable car in Pakistan. It has been the Boss in the country’s auto market for over 30 years and remained as the top-selling car in Pakistan for three decades. There are multiple reasons behind the success of Mehran including the lack of competition in the auto market in the last 30 years as well as its affordable price which was in the budget range of every middle class man. Apart from Suzuki, the only other option for the potential buyers was to buy a car from Honda or Toyota but unfortunately, both of these auto manufacturers, deal in high engine capacity cars of 1300 cc or above. Therefore, Pak Suzuki had no competition in the market and this is one of the reasons that Suzuki Mehran ruled the local auto market for around 30 years. Though Suzuki made a few cosmetic changes in the car during all these years, but still, it was not updated enough and equipped with modern features to compete with other vehicles. Mehran is a globally obsolete car. It was retired more than two decades ago, and the only country is producing it till 2018 was Pakistan. However, a majority of people and car enthusiasts have welcomed the decision of Pak Suzuki to end the production of its oldest hatchback saying that it would open new doors for the potential buyers with a range of options to choose from. With the discontinuation of Suzuki Mehran, Pak Suzuki Motor has already announced to introduce Suzuki Alto 660cc on the International Standards this year. Suzuki Alto will be the first 660 cc hatchback in the local industry of Pakistan which will also be a direct competitor of United Bravo and Prince Pearl in the future.